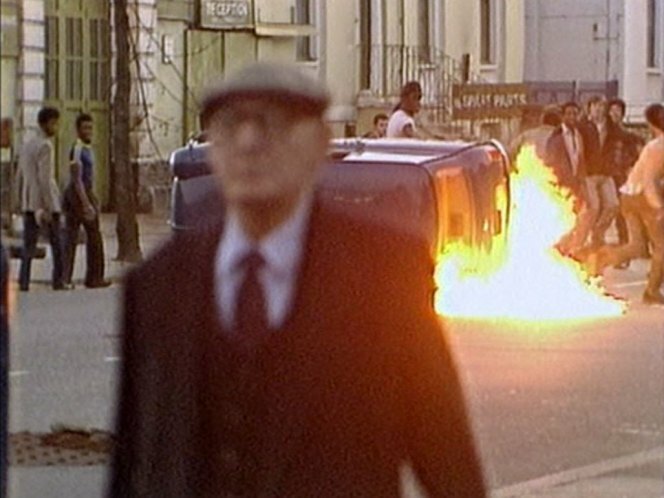 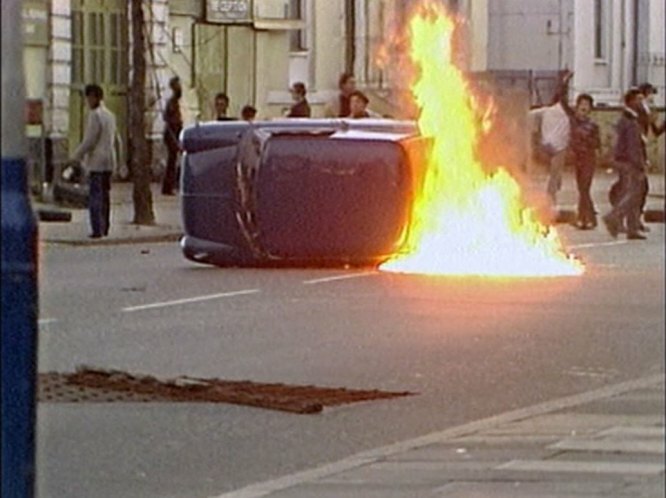 IMCDb.org: 1975 Mini 850 MkIII [ADO20] in "London - The Modern Babylon, 2012"
1981 Brixton riots. 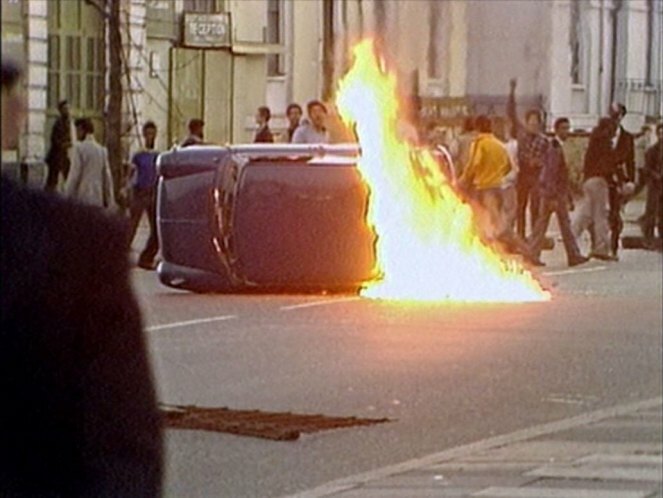 Mid 70s blue Mini 850 with puke-green interior. 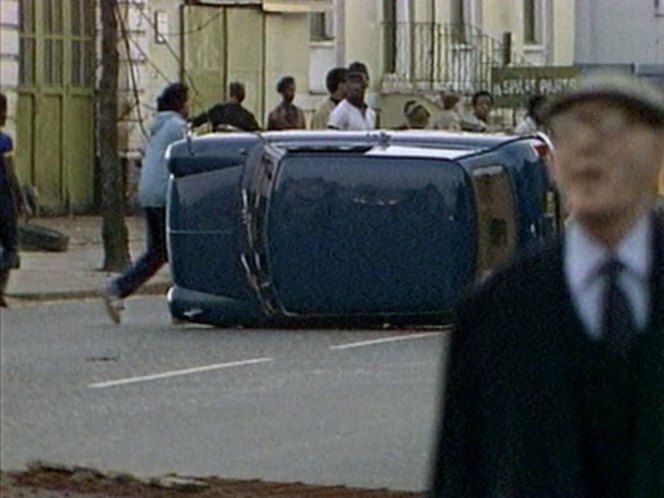 Footage also used here - /vehicle.php?id=507454 .